These summer squashes — with their tam o’ shanter shape and luscious colors — look more pretty than edible, but they are really tasty, so have no mercy, grab them off that fall centerpiece and cook ’em up while they are fresh and tender! This is a really basic recipe for roasting that I used recently when packing the oven with four different veggie dishes. You can boil pattypans, stuff them (Click here for a gorgeous and simple stuffed pattypan recipe!) , even grill them (brush with lemon and mint, yum, yum), but this will do the job if you just want to get the job done simply. I do recommend scooping the seeds if there are a lot of them and you have the time. Preheat oven to 450°F. Spread oil over all surfaces of squash. Then sprinkle with herbs, salt and pepper. Cook for 20-25 minutes, or until tender. My 7-year-old was with me at our local farmer’s market this past weekend. He saw the cool-looking pattypans, and wanted to try it since he loves squash! I Googled recipes and yours was by far the most straight-forward. We made prepared the pattypan together last night; in my son’s words it was “sooooo good!” What else can I say? Thanks a million for a keeper! I just found the no-knead bread recipe on your site. Sounds terrific and fun for my son and I! I’m going to buy the ingredients on my supermarket run this weekend. Oh my goodness! Another great recipe from Natalia!!!!!! Thanks, it was greater than ever! So glad you liked it! We love pattypans around here…. Do you cover the pattypan when you roast it? I am assuming you do. Nope! I cut it up, coat it with a bit of olive oil, maybe some seasonings and that’s it. Use a baking dish with a rim so it doesn’t drip! The Number One searched-for post in the late summer….a dead simple recipe that demystifies the pattypan squash! Thanks, Diane! MOre to come…. 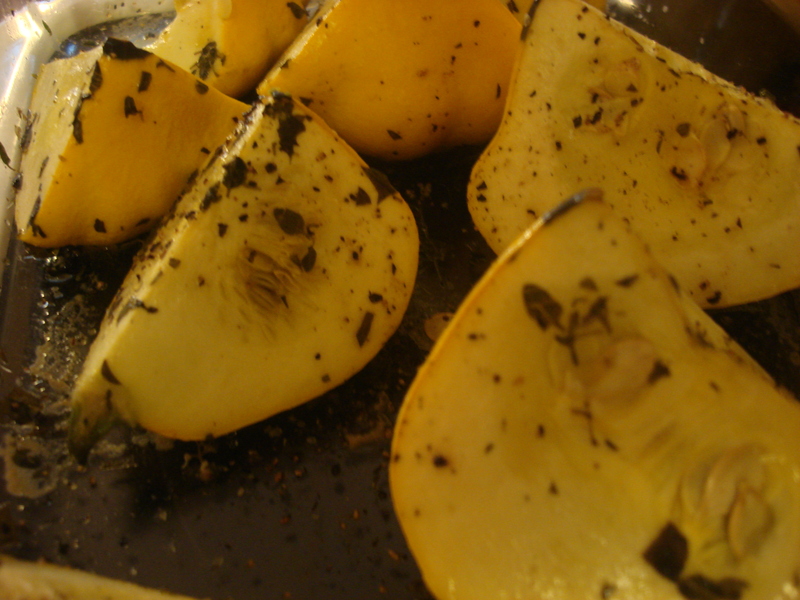 Roasted squash is always so flavorful, even when it’s simple like this. Thanks so much for including Hot, Cheap & Easy in your menu plans!